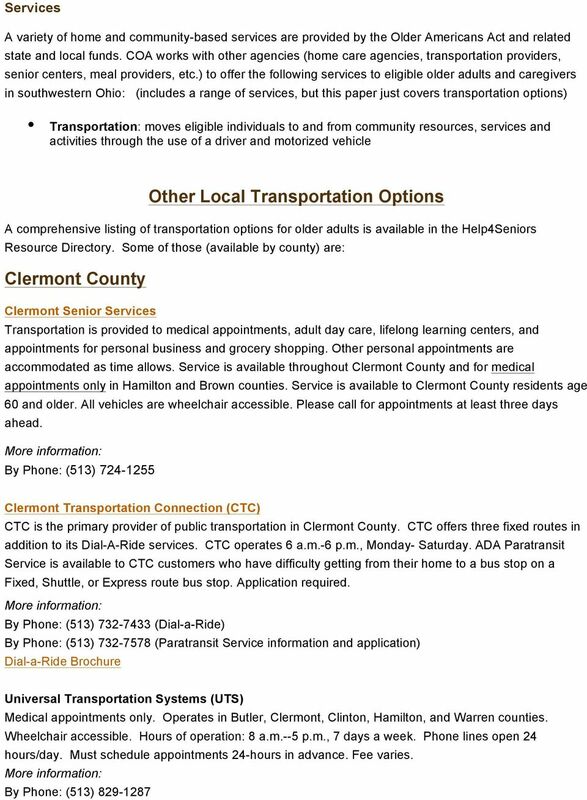 Download "Council on Aging Transportation"
1 Council on Aging Transportation COA currently contracts with 37 organizations to provide transportation services through various programs. There are currently 6 independent programs administered by COA which have transportation as a service option. 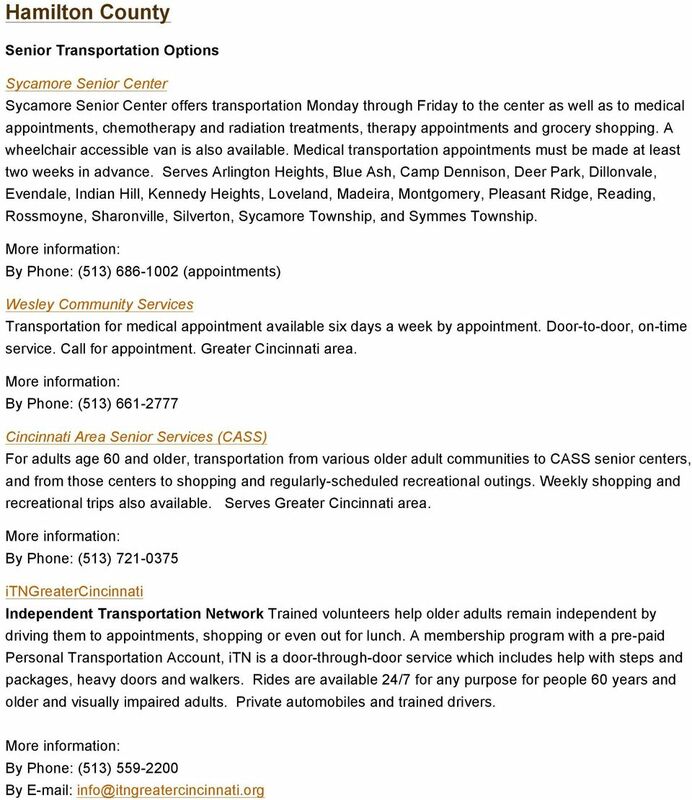 For seniors who are unable to safely transport themselves and have limited options and support, Medical Transportation Service can help them get to a variety of medical appointments to maintain or improve their health. The appointments can include medical offices, physical/occupational/mental therapy services, and even dental services. 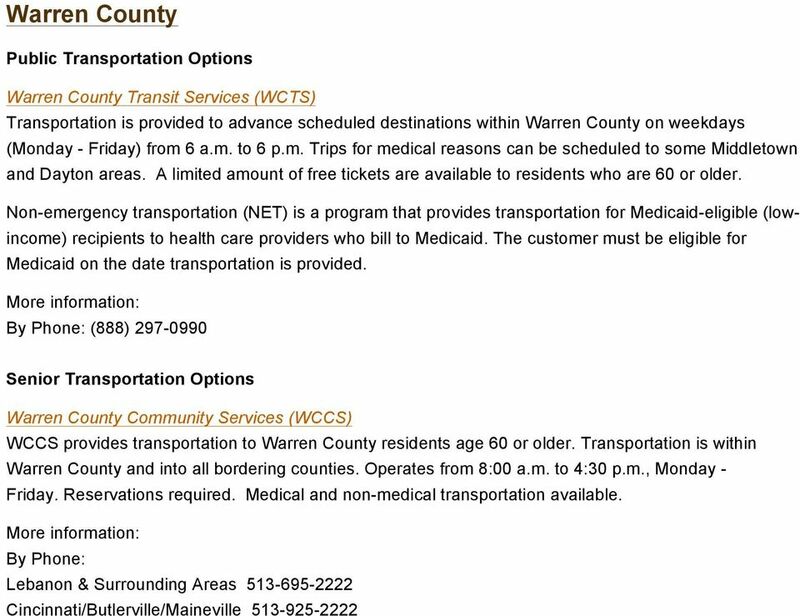 Non-Medical Transportation provides assistance for seniors to destinations that are not medically related. 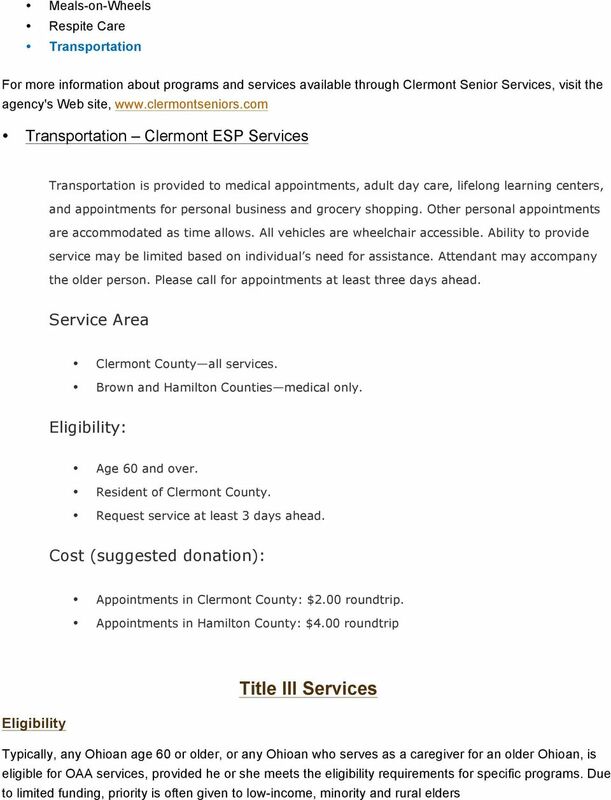 The non-medical transportation service provided through Title III is used to provide trips to the grocery store, shopping, meals and access to community resources such as senior centers and adult day services. 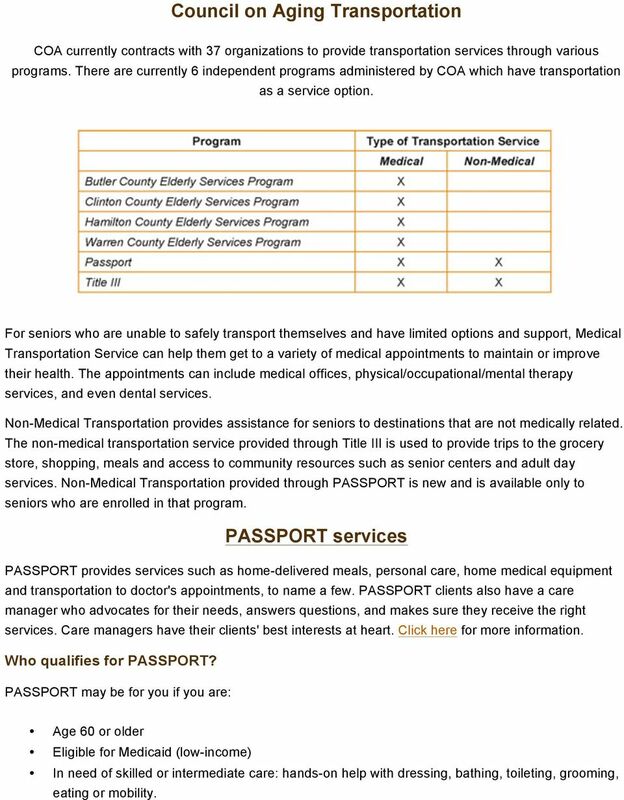 Non-Medical Transportation provided through PASSPORT is new and is available only to seniors who are enrolled in that program. PASSPORT services PASSPORT provides services such as home-delivered meals, personal care, home medical equipment and transportation to doctor's appointments, to name a few. PASSPORT clients also have a care manager who advocates for their needs, answers questions, and makes sure they receive the right services. Care managers have their clients' best interests at heart. Click here for more information. Who qualifies for PASSPORT? 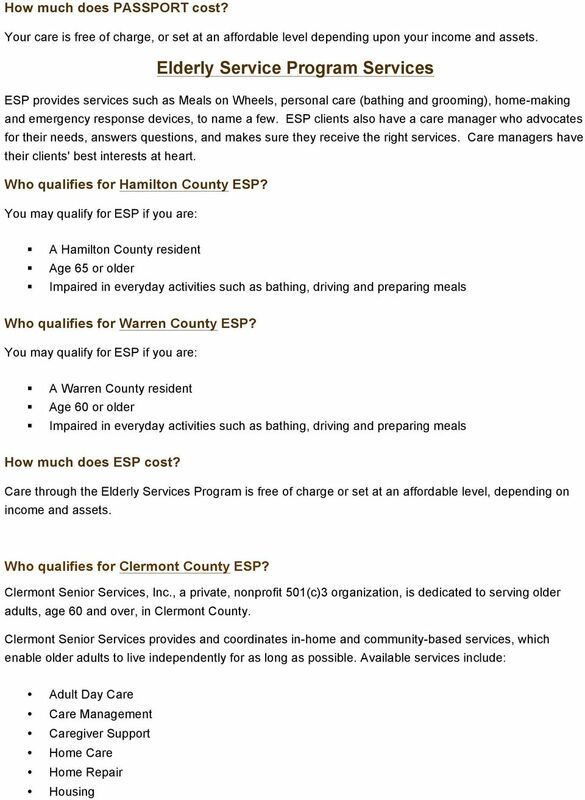 PASSPORT may be for you if you are: Age 60 or older Eligible for Medicaid (low-income) In need of skilled or intermediate care: hands-on help with dressing, bathing, toileting, grooming, eating or mobility. Complete Senior Care is redefining the aging journey. FINANCIAL FITNESS FINANCING LONG-TERM CARE: INSURANCE AND ITS ALTERNATIVES. Fact Sheet. Potential Need for Long-Term Care in Utah. Population.